For English teachers, picking a favorite book is almost impossible! But we asked them to do exactly that during our January #NCTEchat, New Year/New Ideas. During the chat, we asked educators to share one text (poem, book, novel) that they would recommend every teacher (or student) read in 2018. As you might expect, we received HUNDREDS of wonderful recommendations! Get ready to add to your To Be Read pile, because over the next few weeks we’ll be sharing all of the recommendations we received. This week we’ll be sharing recommended YA and adult fiction books. If you’re wondering why you don’t see some of your favorite YA novels, they might be coming in our next post about poems and verse and poetry books! Be sure to check out the other blog posts in this series so far, professional development and children’s book recommendations. If we missed one of your favorites, be sure to let us know on Twitter! All recommendations were pulled from January’s #NCTEchat archive, which you can find here. Book descriptions are taken from the Goodreads website. Sixteen-year-old Aza never intended to pursue the mystery of fugitive billionaire Russell Pickett, but there’s a hundred-thousand-dollar reward at stake and her Best and Most Fearless Friend, Daisy, is eager to investigate. So together they navigate the short distance and broad divides that separate them from Russell Pickett’s son, Davis. Why you should read this book: Amazing voice for mental health awareness. Friendship. Romance. An honest portrayal of a strong adolescent living with mental illness. Bestselling author Sherman Alexie tells the story of Junior, a budding cartoonist growing up on the Spokane Indian Reservation. Determined to take his future into his own hands, Junior leaves his troubled school on the rez to attend an all-white farm town high school where the only other Indian is the school mascot. Josef is a Jewish boy in 1930s Nazi Germany. Isabel is a Cuban girl in 1994. Mahmoud is a Syrian boy in 2015. All three young people will go on harrowing journeys in search of refuge. Why you should read this book: It shows multiple perspectives of social justice. Powerful YA, good writing, and a timely topic. Prestigious. Powerful. Privileged. This is Fullbrook Academy, an elite prep school where history looms in the leafy branches over its brick walkways. But some traditions upheld in its hallowed halls are profoundly dangerous. Winter 1945. WWII. Four refugees. Four stories. Each one born of a different homeland; each one hunted, and haunted, by tragedy, lies, war. As thousands desperately flock to the coast in the midst of a Soviet advance, four paths converge, vying for passage aboard the Wilhelm Gustloff, a ship that promises safety and freedom. But not all promises can be kept. . . .
Alfonso Jones can’t wait to play the role of Hamlet in his school’s hip-hop rendition of the classic Shakespearean play. He also wants to let his best friend, Danetta, know how he really feels about her. But as he is buying his first suit, an off-duty police officer mistakes a clothes hanger for a gun, and he shoots Alfonso. Why you should read this book: It’s a no-holds-barred story about the racial divide in our country and how we can all be a part of the solution. From the first moment of her freshman year at Merryweather High, Melinda knows that “Speak up for yourself” is a big fat lie, part of the nonsense of high school. She is friendless—an outcast—because she busted an end-of-summer party by calling the cops, so now nobody will talk to her, let alone listen to her. In Alaska, 1970, being a teenager isn’t like being a teenager anywhere else. Ruth has a secret that she can’t hide forever. Dora wonders if she can ever truly escape where she comes from, even when good luck strikes. Alyce is trying to reconcile her desire to dance with the life she’s always known on her family’s fishing boat. Hank and his brothers decide it’s safer to run away than to stay home—until one of them ends up in terrible danger. In the early 20th century, when lynchings were commonplace in the American South, a few brave reporters—light-skinned African Americans—risked their lives to expose the truth. This undercover work was known as “going incognegro.” Zane Pinchback’s latest case hits close to home: his brother has been arrested for murder. One day Carver Briggs had it all—three best friends, a supportive family, and a reputation as a talented writer at his high school, Nashville Academy for the Arts. The next day he lost it all when he sent a simple text to his friend Mars, right before Mars, Eli, and Blake were killed in a car crash. Want even more recommendations? Check out this list of 2018 MG/YA releases from IPOC (Indigenous/People of Color) authors, which was shared during the chat. Two half-sisters, Effia and Esi, are born into different villages in eighteenth-century Ghana. Effia is married off to an Englishman and lives in comfort in the palatial rooms of Cape Coast Castle. Unbeknownst to Effia, her sister, Esi, is imprisoned beneath her in the castle’s dungeons, sold with thousands of others into the Gold Coast’s booming slave trade, and shipped off to America, where her children and grandchildren will be raised in slavery. Why you should read this book: It’s a work of fiction that provides the best example I’ve seen of how slavery affects our country today. [Gyasi] does a vignette per generation for both Africa and North America. Push through the first two chapters. A gripping, heart-wrenching, and wholly remarkable tale of coming of age in a South poisoned by virulent prejudice, it views a world of great beauty and savage inequities through the eyes of a young girl, as her father—a crusading local lawyer—risks everything to defend a black man unjustly accused of a terrible crime. Sterling is a small, ordinary New Hampshire town where nothing ever happens—until the day its complacency is shattered by a shocking act of violence. In the aftermath, the town’s residents must not only seek justice in order to begin healing but also come to terms with the role they played in the tragedy. Lauren Olamina and her family live in one of the only safe neighborhoods remaining on the outskirts of Los Angeles. Behind the walls of their defended enclave, Lauren’s father, a preacher, and a handful of other citizens try to salvage what remains of a culture that has been destroyed by drugs, disease, war, and chronic water shortages. Why you should read this book: It opens up so many conversations about resilience, responsibility, and fear because the story mirrors a lot of what’s going on right now. It has a Black female protagonist whose interior story you get to see up close. Obsessed with discovering the cause of generation and life and bestowing animation upon lifeless matter, Frankenstein assembles a human being from stolen body parts but, upon bringing it to life, he recoils in horror at the creature’s hideousness. A hurricane is building over the Gulf of Mexico, threatening the coastal town of Bois Sauvage, Mississippi, and Esch’s father is growing concerned. A hard drinker, largely absent, he doesn’t show concern for much else. Esch and her three brothers are stocking food, but there isn’t much to save. These nine globe-trotting, unforgettable stories from Mia Alvar, a remarkable new literary talent, vividly give voice to the women and men of the Filipino diaspora. Guy Montag is a fireman. His job is to burn books, which are forbidden, being the source of all discord and unhappiness. Are books hidden in his house? The Mechanical Hound of the Fire Department, armed with a lethal hypodermic, escorted by helicopters, is ready to track down those dissidents who defy society to preserve and read books. February 1862. The Civil War is less than one year old. The fighting has begun in earnest, and the nation has begun to realize it is in for a long, bloody struggle. Meanwhile, President Lincoln’s beloved eleven-year-old son, Willie, lies upstairs in the White House, gravely ill. In the year 2045, reality is an ugly place. The only time teenage Wade Watts really feels alive is when he’s jacked into the virtual utopia known as the OASIS. In 1984, London is a grim city in the totalitarian state of Oceania, where Big Brother is always watching you and the Thought Police can practically read your mind. Winston Smith is a man in grave danger for the simple reason that his memory still functions. On the surface, Ordinary Grace is the story of the murder of a beautiful young woman, a beloved daughter and sister. At heart, it’s the story of what that tragedy does to a boy, his family, and ultimately the fabric of the small town in which he lives. In Whitehead’s ingenious conception, the Underground Railroad is no mere metaphor— engineers and conductors operate a secret network of tracks and tunnels beneath the Southern soil. The compelling story of two outsiders striving to find their place in an unforgiving world. Drifters in search of work, George and his simple-minded friend Lennie have nothing in the world except each other and a dream—a dream that one day they will have some land of their own. You love so many of these books and want to use them in your classroom. We can help. 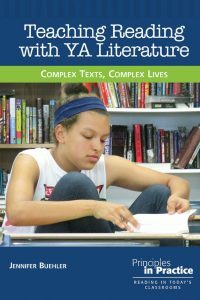 Jennifer Buehler shows how to implement a YA pedagogy—one that revolves around student motivation while upholding the goals of rigor and complexity. 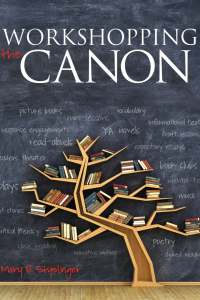 Workshopping the Canon introduces practicing and preservice English language arts teachers to a process for planning and teaching the most frequently taught texts in middle and secondary classrooms using a workshop approach. 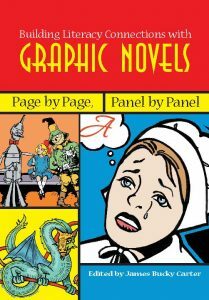 This collection of essays by classroom teachers demonstrates how to pair graphic novels with classic literature (including both canonical and YA lit) in ways that enrich students’ understanding of both and that thoroughly engage them in literacy.